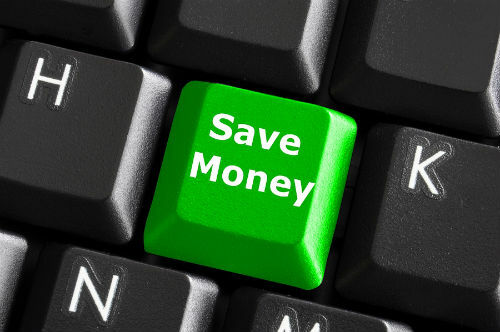 Save money using these great tools, apps and websites. Saving money should be high on your list of goals, no matter what your current financial standing. Most people haven’t saved enough cash for a whole host of things – retirement, their emergency fund, paying for college, not to mention their own personal goals, such as buying a house or starting a business. To save money, you don’t always have to scrimp and deprive yourself. Sometimes, saving money is about being smarter and using a variety of tools at your disposal. Here are 10 tools that my husband and I routinely use to save money. Try these out for yourself and I guarantee you can save thousands of dollars all year long. I’m not 50 yet, but my husband is, so we both are now AARP members. (Full disclosure, I also happen to be a money expert for AARP). But anyone 50 and older, or anyone married to someone in that age category should definitely become an AARP member to take advantage of money-saving deals of all kinds. I always keep my AARP card handy because if I’m anywhere – from the UPS store to traveling on business and checking into a hotel – I can get an AARP discount. Learn more about the benefits of joining AARP here. I’ve written about Priceblink in the past; in fact I even recommended this free tool in an interview I did on ABC because it’s so awesome. Priceblink is a web browser add-on that automatically finds the lowest prices for the items you want while you’re shopping online. When you’re viewing a product online, PriceBlink scans more than 4,000 merchants for lower prices on that item. Then it alerts you to potential savings and even gives you a heads up about available coupons from stores. Amazon local is a great place to score bargains and flash-sale type of deals. This year, my hubby got me an Amazon local deal for classes at Zumba Fitness NJ at 50% off the regular price. He also scored another Amazon local deal for 14 days of parking at Newark airport in NJ for just $70. With Amazon local, merchants in your region are trying to drum up business so they offer aggressive deals to prospective customers. A case in point: this year, we also discovered a nice Middle Eastern restaurant, called King Falafel, in Millburn, NJ. With this Amazon local deal, we paid $25 and got $50 worth of food for our family of five. Check out deals in your area on Amazon Local. ebay is a no-brainer. This is our go-to place anytime we’re shopping online for any product. eBay isn’t just a destination to buy used products. Many vendors also sell brand-new items on eBay at discount prices. We often comparison shop the price of esoteric item on Amazon, and then look up the same item on ebay and sometimes we find a better deal. We have noticed that it’s easier to find things on ebay by visiting their site and then using their search box, rather than just relying on a search engine. I like to get Goldstar’s “daily deals.” I use Goldstar to find events because that’s their main focus: discount tickets to concerts, sports games, and local activities. My husband took our son to a Jets pre-season game at a rock-bottom price last summer thanks to a Goldstar deal that arrived right on time, in our inbox. Learn more about Goldstar here. TripAdvisor may not necessarily always save you money, although they do enable you to check rates and make a purchase via their web site. But TripAdvisor can help save you grief, aggravation and remorse by giving you fellow traveller ratings of hotels and resorts. And can you put a price tag on your peace of mind about your travel or vacation plans? If you’ve planned an out-of-state or out-of country trip, the last thing you want to do is show up and find that the property is a far cry from what it looked like online and way below your expectations. TripAdvisor can help prevent that calamity – which did, in fact, once happen to us. As a result, we now NEVER, EVER book any hotel or lodging whatsoever without checking TripAdvisor first. We use online banking and we view our credit and debit card statements each month. Some banks offer you perks for doing business online. For instance, when we use the debit card from our bank, our statements often reflect discounts from merchants that sell related or similar products to something we’ve already bought. So if we use our debit card at one of the kids’ favorite haunts, Five Guys, we’re likely to see an electronic coupon from a competitor, perhaps Subway. What’s nice is that I don’t have to cut a coupon. I just click on an offer, and the digital coupon is automatically loaded onto my debit card. The only drawback is that I have to remember to use that specific coupon at the vendor before the coupon’s expiration date. We treat coupons like cash around here. We keep a big box of coupons that come in the mail. Even coupons on the bottom of store receipts get thrown into that box. Before any shopping trip, the box gets checked for coupons we can use and off we go. This simple organizational item, a person coupon box, has saved us countless dollars. My praise for NeatDesk and Neat Receipts is long overdue. This company sent us their desktop scanner about two years ago. It sat in the box for about a month, maybe two. But once we set it up and learned how to use it we’ve found it to be one of the most vital parts of our home-based office. If you have a need to scan documents and store them digitally, NeatDesk makes this process a breeze. We have a modest-sized house, but a lot of stuff ends up in our garage since we don’t normally park our cars there. But by taking advantage of vertical storage space, using storage racks like this from Home Depot, the garage can hold all of our stuff and we can still fit our car in there. This helps us keeps things neat and organized and it’s even saved us money too. No more paying the local storage company down the road $100 or more a month. These are just 10 of the tools my family uses to save money. In my next post, I’ll tell you about more money-saving tools we use. Meantime, what do you do to save cash?